In 2011 the State of Louisiana recognized the increase of concussions in youth sports and enacted legislation that requires youth sports organizations to notify its participants (players, parents and coaches) of the symptoms of concussions and the risks with continuing to participate with a possible concussion. 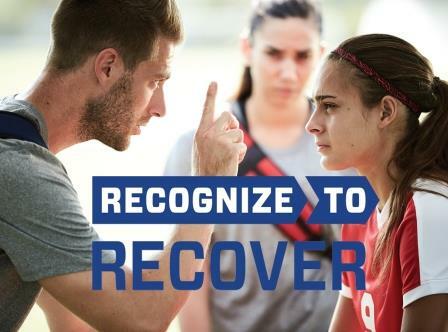 US Soccer has introduced its RECOGNIZE TO RECOVER program, a comprehensive set of initiatives designed to address all aspects of player health and safety in the game of soccer. The program is designed to give coaches, parents, players and referees the resources needed to improve our understanding and management of head injuries. Louisiana Soccer joins US Soccer in its efforts to educate our membership. Our Clubs, coaches, players and their parents must become familiar with the dangers and symptoms of concussion injuries and recognize new LSA Policies designed to protect the health and safety of all of our players. To visit US Soccer's Recognize to Recover Program Click the image above.